BLENDABELLA Rustic Tuscan Portobello blend combined with farmers market fresh ground chicken make for an amazingly quick and DE-licious weeknight dinner. The complex flavors in these Tuscan Chicken Sloppy Joes can be serve for any night of the week. They’re great on buns for your family or on top of lettuce for guest worthy appetizers. You guys! Can you believe that #FarmersMarketWeek is almost over? I can’t believe how time flies like that. I’ve been drooling over the recipes the others have shared this week. So much produce and so many creative ways to serve it up. From pasta to quiche to baked goods there’s a recipe box full of recipes for you to try. I know I’ve pinned several to try for later. I don’t know about you, but my farmers market has a large array of things to purchase. You can even purchase reed bags to use for shipping, ready made foods to eat there, and even apparel and decorating items. It really has a little bit of everything! Of course it has your standard produce. Mine also has all kinds of meats to buy. It has smoked and fresh sausages, chicken, pork, AND beef. Both raw and cooked if you want. They also have a nice selection of fresh frozen fish that we cannot seem to resist. It’s oh so good. But this recipe doesn’t have fish in it. It has chicken in it. Ground chicken, to be exact. And some fresh tomatoes. Of course, if I’d known that the bread stand took plastic I’d have one some of their delicious looking rolls, too. I didn’t find that out until it was too late. I love fresh baked bread. Now, I know I’ve talked about how I didn’t like mushrooms growing up. I would take them out of my salad and put them on the edge of my plate and let dad take them. Of course I did the same with chickpeas, too. That’s a whole other post. I could only tolerate canned mushrooms growing up. They’re still my favorite on pizzas for some reason or other, but I will eat raw and cooked mushrooms now. My favorite being cremini or Portobello. They have such a meaty and delicious flavor. Their hearty flavor is a good replacement for meat or can be a pizza crust or burger bun. Portbello mushrooms are so versatile. Especially when they come in an easy blend like these BLENDABELLA flavors do. For this recipe, I used the Rustic Tuscan blend. I’ve already tried the Zesty Mexican in a one pot chorizo pasta recipe. It needs tweaking so that’s not going on the blog any time soon. They also have a Coconut Thai blend that sounds delicious! I have had this obsession with Tuscan spices. I made my own Tuscan spice mix. Which I then used for an array of Tuscan recipes. I’ll list them all out at the end. I didn’t realize there were so many until I did a search for them. Really shows how much I love Tuscan spices. When I read about the Rustic Tuscan blend, I knew I was making sloppy joes. Because sloppy joes are fun to eat, they are quick eats, and they are super versatile just like portobellos are. I even have quite a few sloppy joes on my blog. I’ve had a bit of an obsession with them, too. Now, you can easily think beyond the sloppy joes for this meat and BLENDABELLA mixture. The flavors are complex enough that you could make mini sliders as game day eats. It’s fancy enough that you could serve them as lettuce wraps for your party guests. You could stuff pastry with it and make hand pies from them. Or you could stuff pizza dough with it and make it a calzone or Stromboli. Stir in some pasta for a stretch meal. You see what I mean? So, aside from the delicious BLENDABELLA Rustic Tuscan blend, I’ve added some fresh, chopped tomatoes, garlic, tomato paste, and some tomato sauce. And a dash or Worcestershire sauce. For some reason it’s not sloppy joes without it. I don’t know why, but that’s iconic flavor has to be in there for my sloppy joes to taste right. I guess it’s that umami thing everyone’s talking about? Still, I have no idea what that is. Some savory sensation you get when you eat something amazingly comforting. I guess. It eludes me. I know what I like to eat and what I don’t like to eat. There’s comfort for me in all types of foods. So, if there’s a word for that great! I just call it my love of food. And I’m loving these Tuscan chicken sloppy joes. They’re rich with Portobello and tomato flavors. The Tuscan spices are the perfect blend and the chicken makes it all healthy-ish. I used white meat ground chicken, by the way. I know it’s not the easiest to cook, but it’s the perfect canvas for all these flavors to play on. Finally, I topped ours with some Provolone cheese. You could use Mozzarella, Fontina, Asiago; any Italian cheese would work well with these sandwiches. Maybe even something a little sharper like a Manchego or Parmesan would work well, too. Heck, they’re your Tuscan chicken sloppy joes. You serve them however you want! You can just see the mix is packed with vegetables! The BLENDABELLA mixture has portobellos (duh) along with red and green bell peppers, onions, carrots, garbanzo beans, olive oil, garlic, sun-dried tomatoes, Parmesan cheese, and spices. Holy wow that’s a lot of goodness packed in that little jar! Then there’s the fresh tomatoes that I added, the healthy chicken, spices, and the cheese. It’s on the bottom to provide a protective barrier so my bun didn’t get soggy. Try it! You’ll never to back to cheese on top of the sloppy joe. So, with all that flavor packed into a simple and easy weeknight meal, there’s no reason NOT to make these! They’re game day perfect, appetizer ready, and family friendly. If you’re looking for the BLENDABELLA mixtures, you can find them here. For other inspiration for cooking with these delicious blends, make sure to follow them on Facebook, Instagram, Twitter, and Pinterest. And don’t forget to see what the rest of the bloggers cooked up for today! Heat a large skillet over medium-high heat. Add the olive oil and swirl to coat the pan before browning the chicken. Stir in the tomato paste, Tuscan spice mix and the Worcestershire sauce. Cook until the tomato paste turns darker in color. Add the tomato and cook until their juices are released and reduced slightly. Stir in the BLENDABELLA and the tomato sauce. Simmer until thickened. Place one slice of cheese on the bottom of each of 6 hamburger buns. Top with the sloppy joe mixture and serve with rosemary roasted potatoes or a side salad. While I received product for use in this post, all opinions are entirely my own. Doesn’t it? I hope you can find it! Their blends are delicious. What a great change on a classic recipe. I’ll bet these are even better than the original. Thanks for the recipe! I have known about sloppy joes for years (they aren’t a thing here in the UK), but only tried them recently. I was totally won over. Complete comfort food. They definitely are and you can change up the flavors, as you can see here. I have several recipes on my blog including a potsticker one! this looks great! what a great idea! I never thought of making chicken sloppy joes. I might just make it for my boys!! We make them often in many difference flavors. I think these are our new fave though. 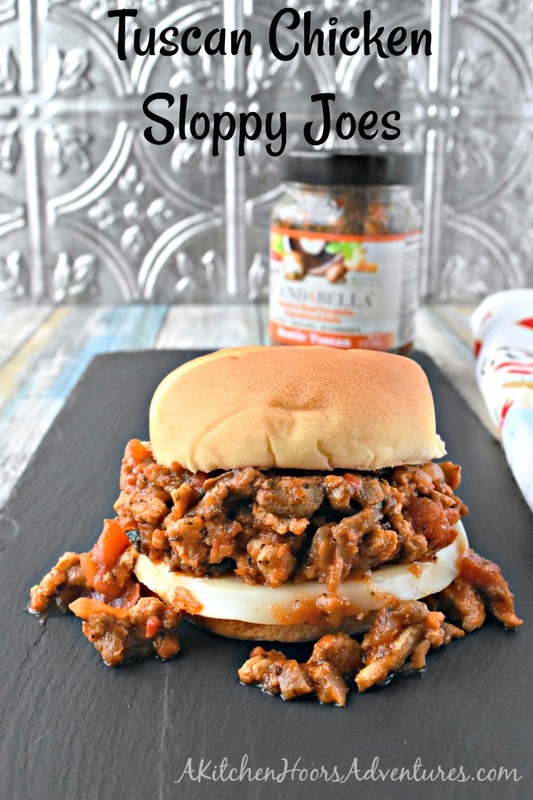 I love sloppy Joe’s and this version with the flavor mix looks really good! Love that it’s made with chicken too! Sloppy joes are so versatile! You can make them with any flavor and any meat. This looks like such a great, easy dinner! 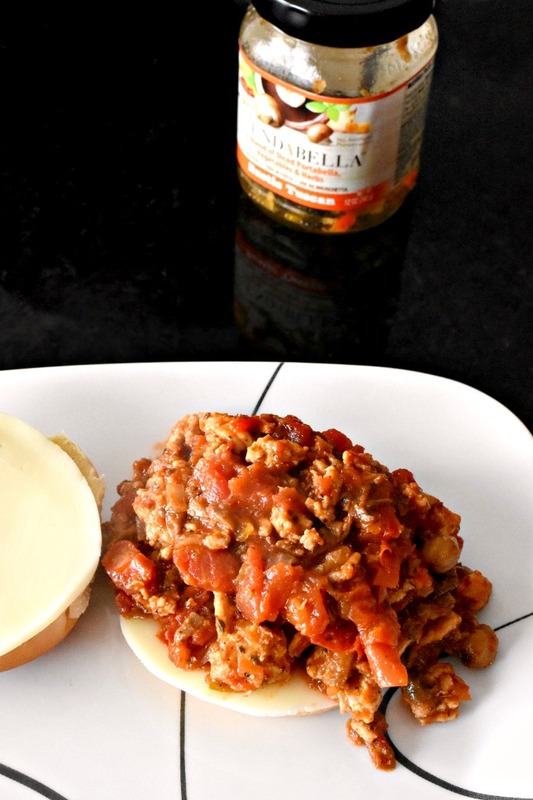 These sloppy Joes look absolutely fabulous! What a fantastic meal idea! I need to look for Blendabella. Sounds so tasty!! They are delicious! I hope you can find them. I love mushrooms so putting them on a sandwich is always fine with me! It’s always been a love hate with me, but I’m coming around. Especially with these jars of goodness. I’ll have to see if that blendabella is available near me. I hope so! They’re really good.